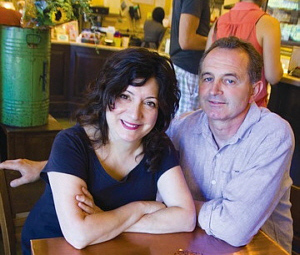 In 1987 Walter and Marlene Goetzeler made the move to Sacramento to buy Freeport Bakery. It was a small but delightful bakery specializing in cakes. They inherited seven staff members. Over the past twenty five years, the Goetzelers and their amazingly dedicated staff grew the bakery into an award-winning neighborhood bakery. Now employing close to 50 employees, many long term, Freeport Bakery has become a Sacramento institution.